J. Damask (a.k.a. 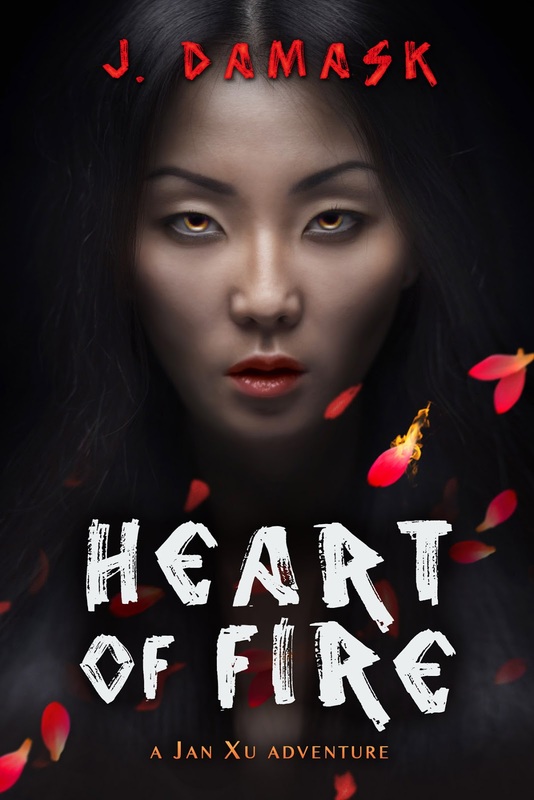 Joyce Chng) was kind enough to answer a few questions about her new book, Heart of Fire, which hits digital shelves in September. The book comes from Masque Books, a digital-only division of Prime Books, a notable small press genre publisher (notable most recently for releasing the absolutely amazing Yoon Ha Lee collection, Conservation of Shadows — check out the Skiffy and Fanty interview here). In other words, Heart of Fire is sure to be damned good! Though you’ll have to wait for a little while, you should bookmark this page and remember to buy it in a couple months! If you had to describe your novel to someone who doesn’t read a lot of genre fiction, how would you describe it? It is set in Singapore, has a lot of mythological animals and creatures and Singapore food. And oh yes, it has werewolves. What do you think makes fantasy such a compelling genre for so many readers? I think it’s compelling, because it allows readers to slip into other worlds. You know, make-believe world. It’s like Narnia! How would you say Heart of Fire fits in with the rest of your work? Does it share certain sensibilities or thematic concerns? It does, come to think of it. I tend to examine tropes of transformation and transfiguration, as well as motifs like family ties and relationships. To me, the family is central and it does appear in many of my stories. I often wonder if this is an Asian thing, to feature the family as an important motif/theme. As a Singaporean author writing in English, what would you say are your greatest challenges in terms of reaching audiences abroad (particularly in other English-speaking parts of the world — not just “the West,” mind you)? I am Singaporean Chinese. So, I sometimes feel that people would want me to write in Mandarin Chinese (no, I couldn’t – and my last (and only) Mandarin spec fic story was written when I was a kid as a school composition). I think people want to see an “authentic” voice, so to speak. I think there are no such things as authentic voices. What one thing that you know now do you wish you’d known when you first started treating writing as a professional endeavor? That it couldn’t be a full-time job. That it won’t be easy for people from Southeast Asia? And, last, for a silly question: If you had to choose an animal to write your next book for you, which animal would you choose and why?